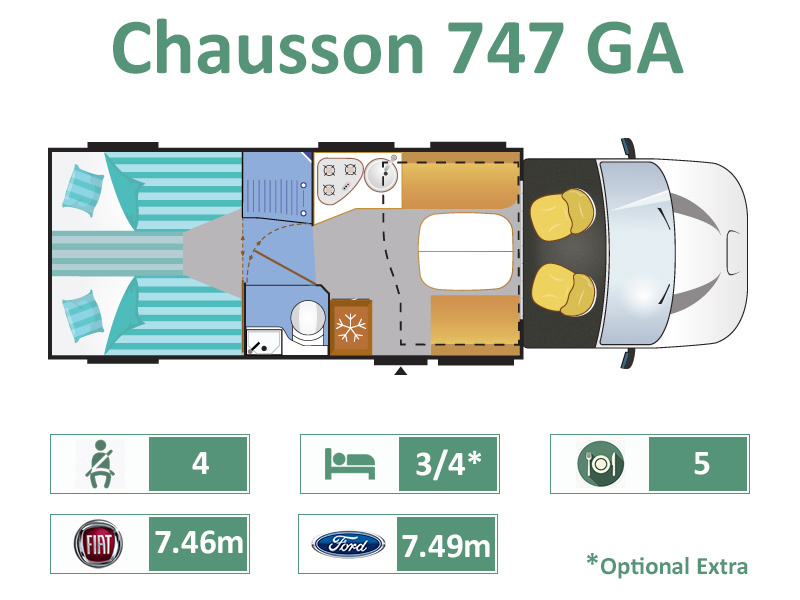 Like the 738 model, already mentioned, the 747 GA has evolved, and this year comes with dedicated washroom doors, instead of the louvred concertina doors around the shower and toilet cubicles. At its heart remains the large twin rear beds which can be converted to a double bed if preferred, over a large spacious garage beneath. There are also tall boy wardrobes on either side offering excellent storage options. The forward `Smart Lounge` relaxation area is uncluttered and reveals two fold out and up seat-belted `jump-seats` if required, and over the top an electric drop-down double bed offering comfort and convenience.